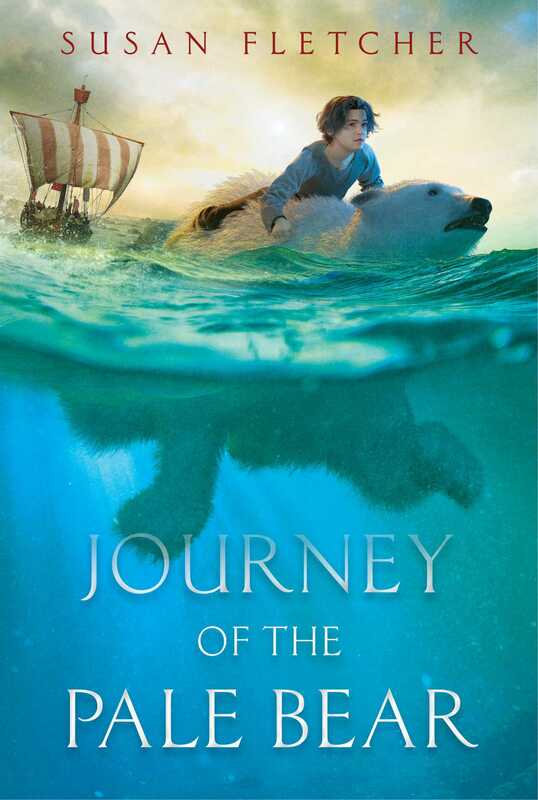 A runaway boy befriends a polar bear that’s being transported from Norway to London in this lyrical and timeless adventure story about freedom, captivity, and finding a family. The polar bear is a royal bear, a gift from the king of Norway to the king of England. Arthur, who has run away from home, finds himself taking care of the bear on a ship bound for England. Restless and deadly, the bear terrifies Arthur, but he slowly loses his fear as he begins to feel a connection to this bear who, like him, has been cut off from her family. When pirates attack and the ship founders, Arthur must make a choice. Does he do everything he can to save himself, or does he help the bear to find freedom? 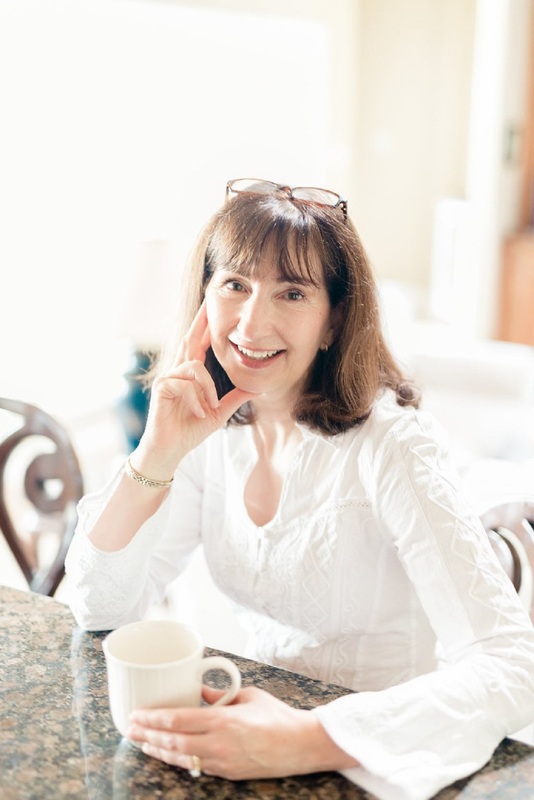 Susan Fletcher has used the real story of a polar bear that lived in the Tower of London to create this timeless adventure story that is also a touching account of the bond between a boy and a bear. 1. Is this the first historical fiction novel that you’ve read? If so, did you like it? Had you ever heard about the King of England’s menagerie? Do you think it makes a story more interesting or exciting if you know that it was based on a true event? 2. Share some other examples of historical fiction you’ve read and the events that inspired them. Can you think of a historical event that you’d like to read a novel about? 3. The author has included a prologue in the book. What do you think the author is trying to accomplish with it? What specific clues to the subsequent story does the author give here? Does she succeed in making you want to keep reading? 4. From the very first time Hauk stuffs Arthur into the bear’s cage, there seems to be a connection between the boy and the bear. Why do you think a dangerous animal would be gentled by a small boy in this case? Should you approach a bear in real life? Think about the bear’s experience in a cage and away from his natural habitat. How does that relate to Arthur’s situation? How do you see Arthur and the bear’s relationship grow throughout the story? Can you think of other books and movies that celebrate a connection between a child and an animal? Do you have any examples from your own life? 5. Have you ever seen a polar bear at the zoo or on television? Talk about what you know about real polar bears and then discuss how movies and ads use polar bears to portray cold weather and Christmas. Does the bear in the book resemble any of these friendly, cuddly symbols? What other animals are represented differently in media than how they appear in nature? Do you think this impacts how people view certain animals? 6. Name some of the reasons why Arthur runs away from home. Do you think these reasons justify his actions? Running away is a common theme in novels. Why do you think that is? Give examples of books about runaways that you’ve read. What do those books have in common with Arthur’s story? Can you name some of the plot elements that are similar? Do those books have resolutions? Do you like the ending to this book? What do you think Arthur learned? 7. Arthur has the feeling of “being shipwrecked in life—of having fetched up on a strange shore among wrong, unfitting people.” Why do you think Arthur felt this way? Have you ever felt the way Arthur does? Have you ever talked to your friends and found they feel the same way? Why do you think feeling like you don’t belong is such a universal feeling? What are some ways that people begin to find ways to fit in or to show that they appreciate one another? 8. Arthur’s father died, leaving a large hole in Arthur’s life; Arthur imagines that the bear may also have been separated from her cubs. Why is family, or the lack of family, such an important component of this novel? How does it drive the characters’ actions? Why does Arthur have such a strong reaction when the doctor calls him “son”? 9. When the doctor asks Arthur to care for the bear, he says, “I pledge my word that you’ll be safe.” Did you trust the doctor? Did Arthur? Were you hopeful that Arthur had found an adult who wanted to protect him? Do you understand why Arthur feels betrayed when the doctor makes him lead the bear back to his cage after the pirate attack? Talk about why it might be easier for Arthur to trust the bear than to trust people. 10. Arthur hopes the letter the farrier delivered will enable him to claim his birthright as his father’s son and heir. Do you know what a birthright is? Think about chapter 41, the spectacle with the bear in the cage, on display through the London streets. How might the bear relate to the concept of birthright? What would be the modern equivalent of a birthright? Do you have a family heritage you feel you should uphold or an inheritance that you’re expecting to receive? Are there any familial expectations or pressures placed on you, especially when it comes to carrying on the family’s name or a family business? Is it easy for you to talk to your family or loved ones about these things? 11. When Arthur finds out what his letter really says, why does he try to see the bear? He feels that if he can just hear her, he will be able to “face whatever of life that must be faced.” Can you think of objects, people, or animals that would give you the strength to face hard things? Explain your answer. 12. When Arthur finally tells someone that Hauk took his letter, he leaves Ottar out of it, saying, “I knew what it was to be the weak one.” After they are bullied, people often go on to be bullies themselves. Why do you think that Arthur wants to protect Ottar instead of getting revenge? Why is it important to show kindness? Do you think all people deserve to be treated kindly? How is Arthur’s kindness rewarded later in the book? 13. One of the main themes of the book is freedom. Discuss how that theme is explored throughout in characters, plot, and setting. How many different types of cages, real or figurative, are portrayed? When the keeper explains that some animals languish in captivity, do you understand why that is? 14. If freedom is so desirable, why does Arthur long for warmth and shelter while he and the bear are roaming free after the shipwreck? Are there potential downsides to being free, both for people and for bears? What are they? Explain your reasoning. 15. After Arthur leads the bear back to her cage, the sailors smile and say his name. Arthur is “surprised at what a comfort it was to hear my true name on their lips.” Do you understand what he means by this? Why do bullies often call people by unflattering names like “Dung Boy”? Why do you think the author chose not to have any of the characters, including Arthur, give the bear a name? 16. One of the more powerful scenes in the book is when Arthur begins to speak Welsh to the king. Why is it so important that he speak for himself at this moment? What does it mean when you decide not to let others speak for you? How is this different from the way Arthur speaks for the bear, who has no human voice? 17. Do you consider the book’s ending to be a happy one, or were you hoping the bear would get sent back to her home? How did you feel about the conclusion of Arthur’s story? Was there anything you would have changed? Why do you think the author decided to end the book there? Do you think it would have been a better story if it had gone on a bit longer? Explain your answer. 1. Research and write a report about King Henry III of England or King Haakon IV of Norway. What did you find most fascinating about them? Share your most important findings with your class. 2. Research London in 1252 and write a report on a specific component: the people, the politics, the architecture, or the neighborhoods. How are they similar or different from present day London? How did the setting contribute to the story? 3. Research polar bears to discover their habits, daily lives, and the challenges they face due to climate change. Then, choose an animal-related professional such as a vet, zookeeper, or researcher or your local government representatives and convince them of the importance of protecting polar bears and explain how they can help. 4. Choose a historical event and use it as a writing prompt. You can write a short story, an outline for a book, or a screenplay for a film. How truthful did you stay to actual events? What parts did you take liberties with, imagining what might have happened? How did you craft your characters? Was it easy to find information about what really happened? 5. Write a short story imagining that you are a child in London in 1252 who catches sight of the bear on her daily swim. What do you see? How do you react? 6. Use a modern map to trace the journey Arthur and the bear took from Bergen, Norway to London, England. Where exactly do you imagine Arthur and the bear fetched up—or arrived unintentionally—in the Low Countries? Which modern country or countries do you think they might have trekked through? See if you can find a medieval map online or in your school library, and look at the differences between then and now. How many miles is it from Bergen to London? How long might it have taken to travel that distance in a medieval ship as compared to a modern one? How long does it take to fly there today? How might a shorter journey for Arthur and the bear have affected the story? Do you think they would have bonded as closely? 7. Write an epilogue for the book imagining Arthur’s life in 1272, the same time period as the prologue. Does he have a family? Does he have other work responsibilities in addition to swimming with the bear? Where does he live? Pretend you are filling in Arthur’s future life for the reader. "I simply adore this novel. It has it all: gorgeous prose, fascinating history, riveting adventure. But it’s the unlikely tender friendship between a lonely boy and a polar bear that makes this a story to cherish. A lovely little miracle of a book." "I loved every single thing about this large-hearted and riveting medieval adventure." * "A stupendous coming-of-age tale stuffed with adventure and laced with deeper questions." "Fletcher (Falcon in the Glass, 2013) blends high-seas action-adventure with a heartwarming animal-human friendship. Based on historical events, this is a heartfelt tale with plenty of middle-grade appeal."